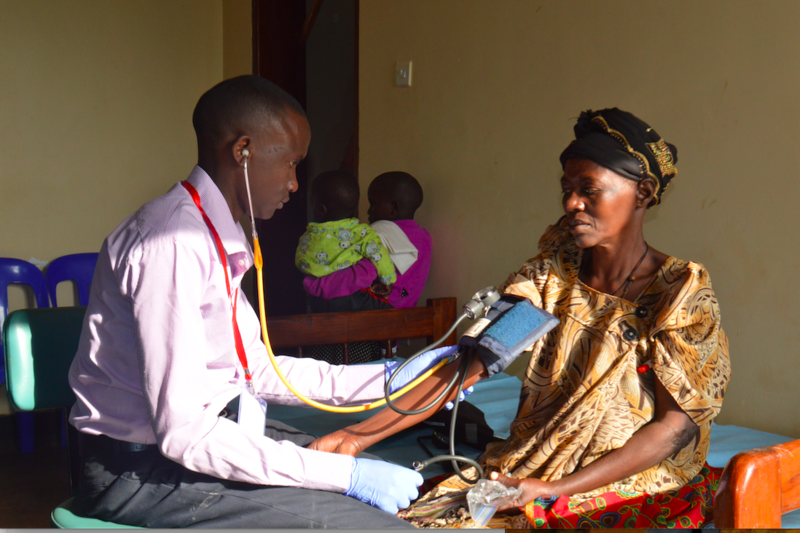 Empower a Child's 6th Annual Medical Camp took place this summer in Zirobwe, Uganda. Through medical professionals, volunteers from Empower a Child, members in the community, and Empower a Child staff, over 1,800 people received free medical care while getting to hear about the love of Jesus, who is the ultimate healer both spiritually and physically. For those of you wondering, the medical camp is an annual project whose purpose is to give FREE access to medical treatment to the people of Zirobwe sub-county and neighboring villages. The medical camp is geared towards meeting the holistic approach of Empower a Child to make sure the community is being served academically, spiritually, and physically. The three-day camp included the following medical services: dental, optical, general health, family planning, HIV testing and counselling, spiritual counselling and prayer. This summer's volunteers, ShyAnn and Kathy, tell their experience with Empower a Child's medical camp below. "This summer I was given the privilege to serve as our Lord’s hands and feet in a Ugandan community called Zirobwe. One of the events I was able to participate in while in Zirobwe was the Empower a Child medical camp. In these three days, we were able to see over a thousand patients, ranging from newborn babies to elderly patients with a variety of medical concerns. One specific memory I have from the Empower a Child medical camp was a young girl and her mother. The girl was about five years old and suffering from Malaria, a common disease in the Zirobwe community. Malaria is a disease that is very curable if treated properly, but if left untreated will take a person's life. The mother had told us that they had walked an hour to come to the camp to receive medical treatment. Immediately, the staff was able to treat the young girl. After treating the young child, her mother broke down in tears and prayed over us. She was eternally thankful for the services the Empower a Child was able to provide to her daughter. She told us that without the medical camp, she did not know how she was going to provide treatment to her daughter. This experience is one that I will always cherish in my heart. We were able to give medication to help heal this young girl of a disease that very well could have taken her life. A life that is so young, with so much potential to do great things in her community. A life that was saved because of the medical camp. Overall my experience with the Empower a Child medical camp was a fulfilling and heartwarming one. I was able to see God work in many ways throughout my trip, but seeing him work in the Zirobwe community through the medical camp was certainly the most rewarding experience of my trip." "I had the privilege of going to Uganda and serving at Empower a Child with my two daughters and my daughter's friend. During our first week, we assisted with a three-day medical camp. During the medical camp, we provided services such as medical, optical, dental, family planning and blood testing. People came from the surrounding communities to get much-needed services that they would otherwise not have received. In total, we provided over 1,800 services in the three days! What I loved about the camp was the practical way it was meeting the needs of the people in Zirobwe. In addition to meeting physical needs, I loved that we had people there to meet and pray with those who were waiting to be seen by the doctors. It was not just about meeting the physical needs, although this is such a significant way to earn trust and to show God's love, but also about showing God's grace by being present to listen and meet the spiritual needs of the people. We felt very blessed to be a part of this initiative and pray that God moves in people's hearts because of the seeds planted." We want to say a BIG thank you to ShyAnn, Kathy, and all the other volunteers and supporters who made it possible to put on this year's medical camp. Most importantly, praise God for modern medicine, volunteers, and His ultimate healing.